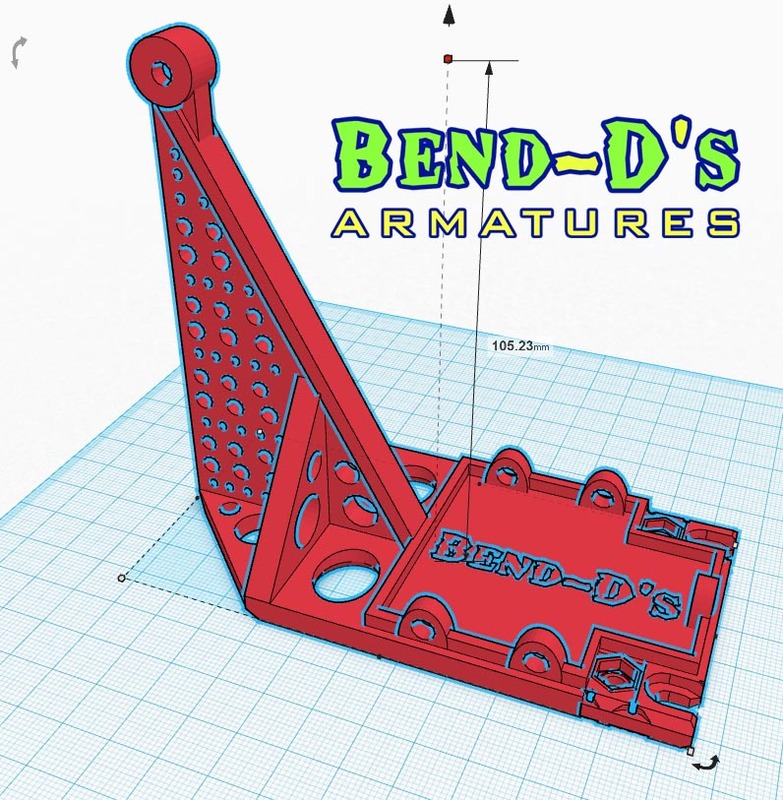 What are Bend-D's Flying Rigs? 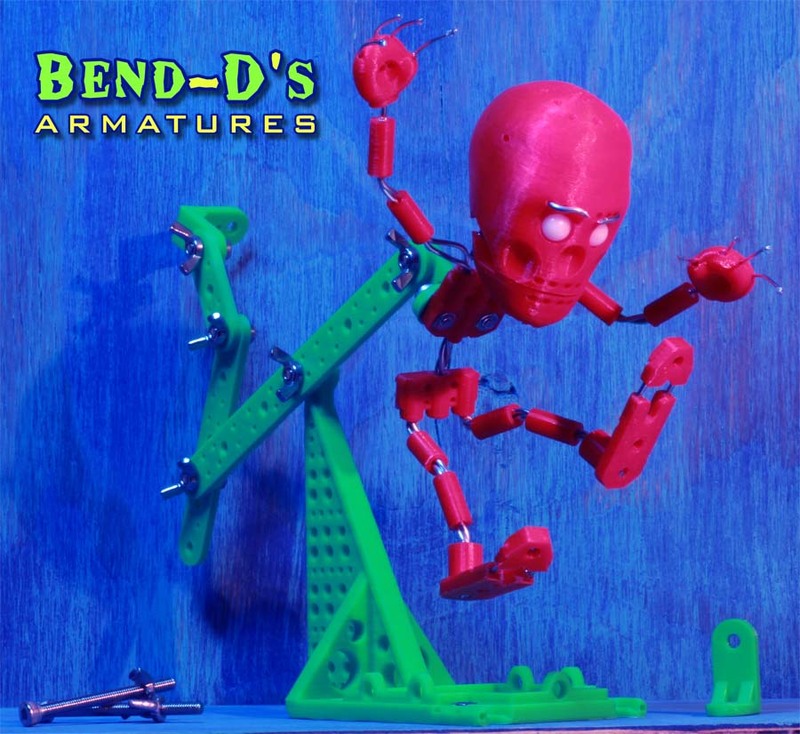 They are used as an attachment to our Bend-D's armature kits or your own puppets and props. By adjusting the included arms, puppets can become suspended into the air frame by frame without having to worry about gravity. 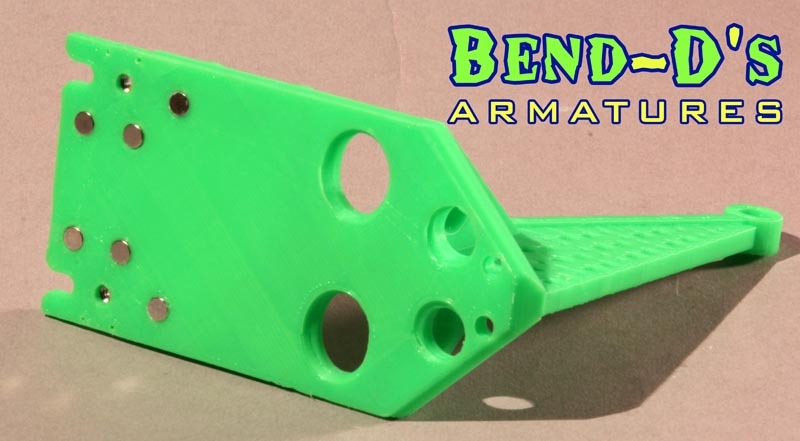 Another great reason to use these rigs are the vast amount of attachment points for armature wire. Wire is inserted through the holes and the ends of the wire can be connected to other puppets, props - or any object that needs to be elevated and animated in your scenes. The rig has several ways to tie it down (attach it) to your set. Use tie downs, disk magnets (see link below in the list below), pins (if your set is soft styrofoam) or by placing a heavy object on it. Loops around the back allow you to use wire, zip ties, string or twist ties to anchor your heavy object. The rig can also double as a surface gage. Using it as a gage gives you a way to make your animation smoother. 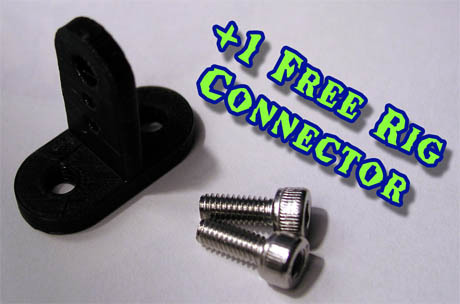 Our rigs now come with a free rig connector and two machine screws to attach a Bend-D's armature kit to the rig itself!